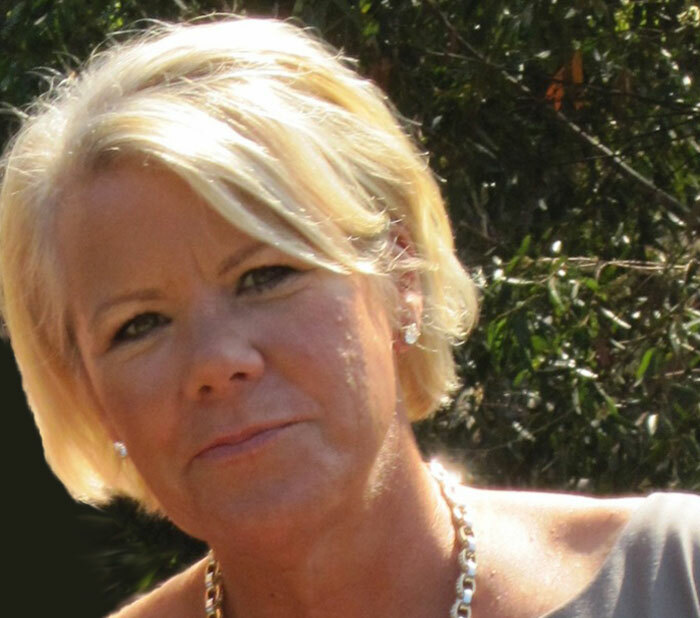 SAN DIEGO — The Southern California marine industry and commercial fishermen were saddened by news of the passing of Driscoll’s Wharf manager Catherine “Cathy” Driscoll, who died at her home on June 6. She was 51. More than 400 people attended a celebration of the life of Cathy Driscoll, held June 14 at Driscoll’s Wharf. Fishing boat captains, local fishermen, friends and family members have established a memorial to honor her memory, and brightly colored flowers have been planted in front of Driscoll’s Wharf at America’s Cup Harbor. The youngest of seven siblings in a well-known San Diego boating family, Cathy Driscoll was the face of the marina in Point Loma, a popular spot for commercial fisherman. Born in San Diego on July 1, 1961 to John “Gerry” Driscoll III and Jean Driscoll, Cathy Driscoll had been involved the family’s boating businesses for most of her life. She worked in coordinating sales for advertising for local news publications before her father brought her in to work in Driscoll’s Wharf Marina on the commercial and fisheries side of the business in the late 1990s. She took over as her father’s protégée when he moved to Morro Bay. Her interests ranged from ocean-related hobbies, organizations and charities to other unrelated realms of the industry. She often enjoyed cruising aboard a small boat or paddleboarding in the harbor. Driscoll was instrumental in securing a grant from the California Coastal Conservancy in 2007 to revitalize Driscoll’s Wharf and the city’s historic commercial fishing industry. The conservancy provided the Port of San Diego a $450,000 grant to analyze the commercial fishing industry, in preparation for an extensive revitalization and access plan for America’s Cup Harbor. Projected costs for the San Diego region ranged from $18 million to $23.7 million. Improvements included a new public event space, removal of the dinghy dock, installation of a new crane, a renovated and an additional offloading facility, and replacement of the dock. Another project Cathy Driscoll had been working tirelessly on — a “farmer’s market” for commercial fishermen, where they could sell their catches directly to consumers — is about to become a reality, her brother Tom Driscoll told The Log. “It had always been a dream of hers,” he said. The market will be held at Driscoll’s Wharf on Wednesday afternoons, and it is tentatively set to start later this month. Gerry Driscoll started the original family business, Driscoll Brothers Boat Works, back in the mid 1940s, moving it to Shelter Island in 1950. Driscoll Inc. now consists of Driscoll Boat Works Shelter Island, Driscoll Mission Bay, Driscoll’s Wharf and Intrepid Landing. All seven siblings have worked in the family business, at some point in their careers. The loss of Cathy Driscoll’s presence is already being felt by those who engaged with her on a regular basis, John Driscoll said. Cathy Driscoll is survived by her partner, Holly Vernon; siblings John, Chuck, Tommy, Mary, Joseph and Michael and their spouses; and several nieces and nephews. Her parents, Gerry Driscoll and Jean Driscoll, preceded her in death. In lieu of flowers, as an expression of sympathy, donations may be made to the Cathy Driscoll Memorial Fund, at youcaring.com/memorial-fundraiser/cathy-driscoll-memorial-fund/65825.